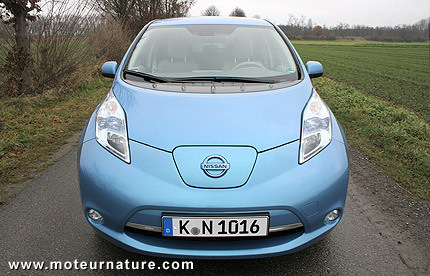 Nissan sold 26,976 Leaf electric cars last year, and that makes it the best-selling electric car on the planet by far. This is also a nice result as it’s 22% more than in 2011. Cumulative sales of the Leaf reached 49,117 units at the end of 2012, and the car broke the 50,000 units barrier last month. That’s a world record, but Nissan isn’t happy with it. The Japanese company just started Leaf production in the U.S. and it will start European production this Spring. The added capacity should bring happier customers thanks to local production. Though it may take a few weeks for the production to reach full capacity, and January sales data may not yet show any improvement. But as the 2013 Leaf was introduced with added content and lower prices, it’s a safe bet that sales will increase, in Japan, in Europe, and in America as well. I bet there will be more than 35,000 Leaf electric cars sold this year. Selling 35000 cars in a year won’t impress anyone. The electric car still has a long way to go. net, because nowadays the searching strategies of search engines are nice. That’s why I fount this article at this time.